For the first time in the history of the ACG Cup Competition, one school swept the competition awards – Weatherhead School of Management. 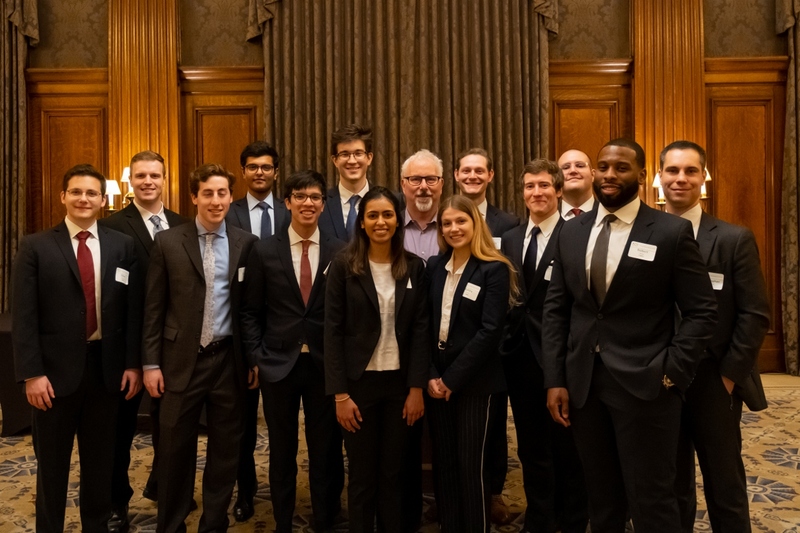 Weatherhead graduate and undergraduate student teams took first, second and third place awards at this annual competition where students pitch to a panel of judges drawn from the business community. Nearly a dozen teams from regional schools participated in the ACG Competition. This is the first year that the competition has allowed more advanced undergraduate students to participate; of which Weatherhead was the only school to include undergrads. "I have been coaching our students in this competition for over a decade," said Scott Fine, Professor of Banking and Finance at Weatherhead. "The overall level of sophistication has risen each year, and now is at a point that the presentations are at the same level as actual professional pitches. It's not a surprise that many of our students have landed jobs at world class financial services firms focused on mergers and acquisitions. I am so proud of all of our amazing students." The ACG Cup is a unique case study competition designed to give students from leading MBA programs invaluable insight into mergers and acquisitions, investment banking, financial advisory and private equity. Through the competition, students have the chance to interact and network with leading finance professionals, develop relationships with potential employers or mentors and apply critical academic skills to a highly realist case study. The competition involves pitching an investment banking assignment to represent a company in their evaluation of an important strategic development. This year's case involved an underperforming public company with two disparate divisions that was under pressure from activist shareholders to divest one division at the same time the company was evaluating not selling but growing this division by acquisition.